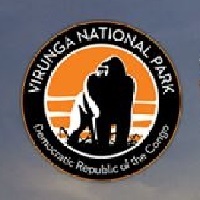 Born of a Congolese commitment to the protection of Virunga National Park, the Virunga Alliance aims to foster peace and prosperity through the responsible economic development of natural resources for four million people who live within a day’s walk of the park’s borders. We propose a three-phase approach and identify four main sectors for development, including Energy, Tourism, Agro-Industry, Sustainable Fisheries, and Infrastructure. This short video on Virunga Alliance provides a glimpse on how it is directly benefiting Congolese communities and becoming a major driver of peace & prosperity in the region. It shows the Economic, Social and Transformative potential of a UNESCO World Heritage site such as Virunga National Park and what it means for local communities. What can sustainable solutions mean for the development perspective of the war-torn eastern part of DR Congo? A mission to fit tracking collars to the last elephants in Virunga National Park, Congo. In 1980 there were some 8,000 elephants in the park. Today there are fewer than 400. In concert with Virunga National Park, Save the Elephants and African Parks launched a challenging expedition to track these survivors across both forest and savannah, to help rangers better protect them.